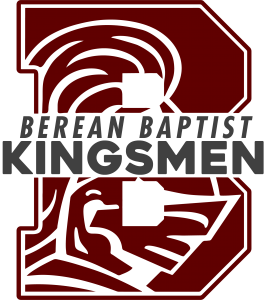 Berean Baptist Christian School was founded in 1977 by Dr. Melvin Swanson, then Senior Pastor of the Berean Baptist Church. In an age dominated by humanistic philosophies, it is vital to recognize that a Christian school must not be based on anything other than Jesus Christ and His teachings. This philosophy determines the curriculum and procedures to be followed; therefore, the goal is to produce students that love the Lord and are prepared to serve Him. Berean Baptist Christian School is a ministry of Berean Baptist Church. All the teachers are born again believers who have been called by God to the teaching ministry and who are active members of Berean Baptist Church. BBCS is a member of the Illinois Association of Christian Schools and the American Association of Christian Schools, a nationally recognized organization for Christian school accreditation. Jesus Christ and His Word must be at the center of all that is done, causing teachers and students to evaluate whatever they see or do from God’s point of view. It is the purpose of BBCS to develop Christ-like character in the life of every student by having Biblical principles internalized into the very heart and life of the student. Because God has given each individual different abilities and talents, it is the responsibility of BBCS to develop the maximum potential in each life, both spiritually and academically. Education is more than just transmitting subject matter; it is teaching students how to take facts and translate them into an effective and dedicated life for Jesus Christ. BBCS seeks to guide the students into being mentally alert, emotionally stable, morally straight, physically active and spiritually in tune with God. This is what BBCS is all about.